As the god of new beginnings, Ganesha is my favorite of the five Hindu deities. From time to time, we all need to begin again or at least refresh our inner selves so when a call when out to bring back a Hindu god from India for The Well in Marfa, TX, I knew which one it would be. I found this Ganehsa in Jaipur where he was lovingly packaged in bubble wrap for his long trip via Dubai toTexas. Gracias a Dios! 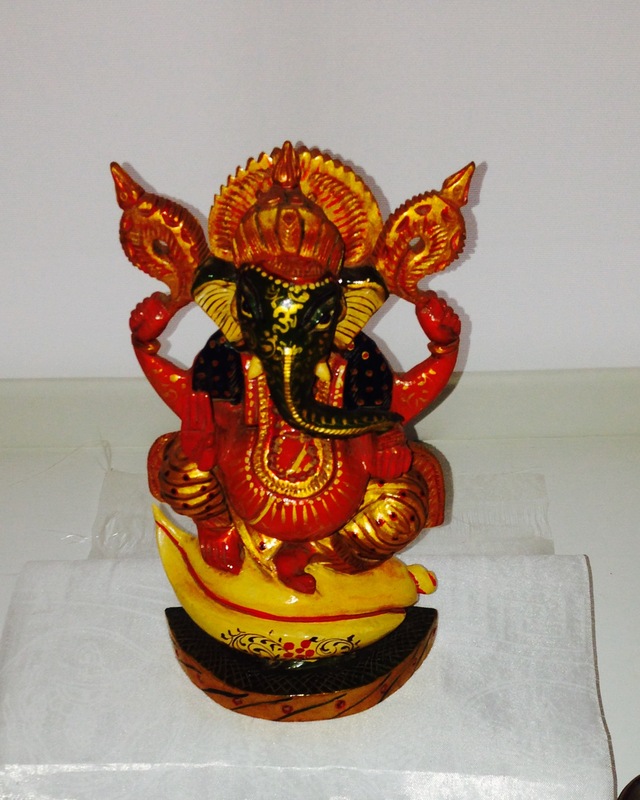 Ganesha arrived safely and is now serenely installed in his new place of honor. If you happen to be out in Marfa and are looking for some wisdom and inspiration, come to The Well. It’s a great space. Check it out. 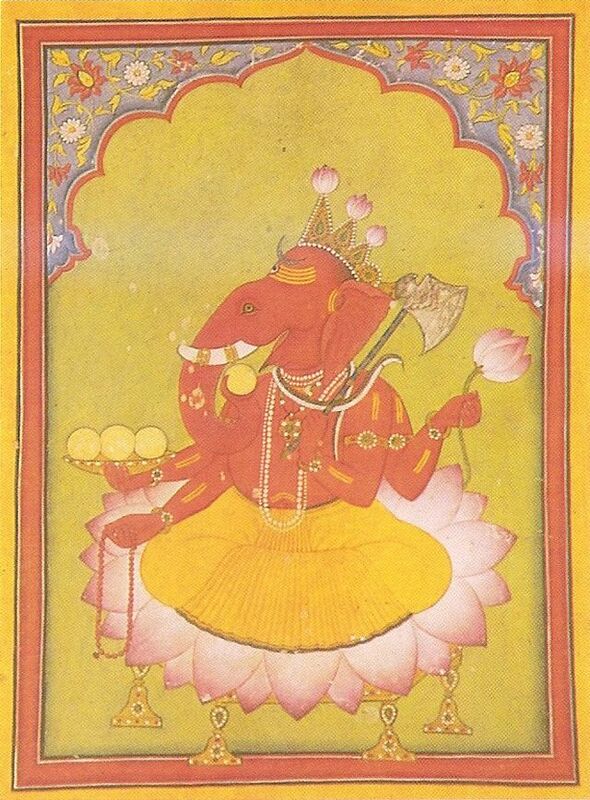 Ganesha getting ready to throw his lotus. Basohli miniature, circa 1730. National Museum, New Delhi. How Ganesha got the head of an elephant is a mystery although the most familiar legend is the one where Shiva cuts off Ganesha’s head to gain access to Parvati. Then, to soothe poor distraught Parvati, who had created Ganesha out of her own body, Shiva had to find a replacement head for Ganesha. Volia! An elephant. You can read more here. But who was R. N. Currey, our featured poet for today? 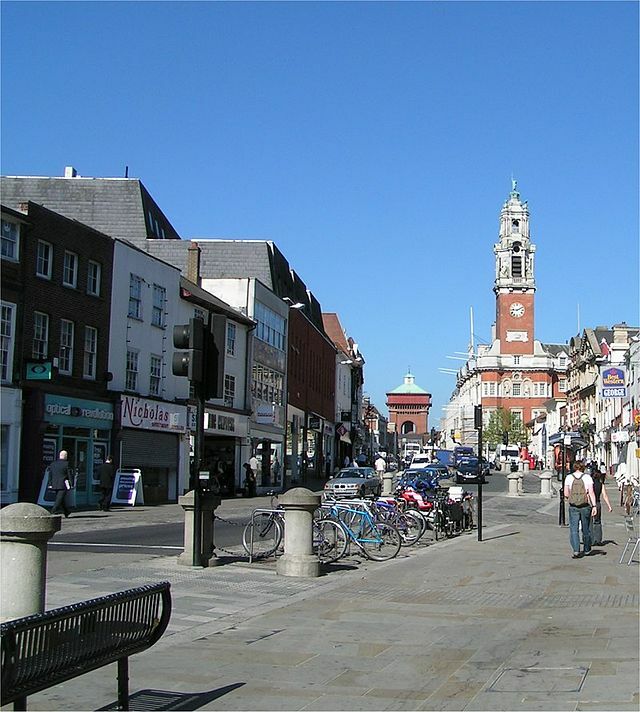 Born in South Africa, Currey was a schoolmaster at the Royal Grammar School, Colchester, for 40 years, yet he was still regarded as more a South African poet than an English one.